It's no secret that scent has a lot to do with taste. After all, wouldn't it be a whole lot easier to avoid eating another brownie if you weren't standing there inhaling the delicious aroma? Mmm, makes my mouth water just thinking about it. However, I didn't know there was more to smelling your cooking than just taking a deep breath... until I was introduced to the idea of a Vaporizer courtesy of The Vapor Experts. By using one of these revolutionary systems, you are able to gently heat material just enough to release the essential oils without creating combustion. Therefore, you're left with all of the flavor and oils of your herbs of choice and can flavor your food with pure aromatic vapor. Pretty interesting, right? 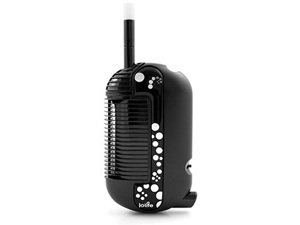 The Vaporizer Experts have models available in all sizes with a variety of different features for everyone. From the various traditional Vapir Vaporizers to the iolite Vaporizer, which is portable and fast enough to heat ingredients within 45 seconds, you'll be able to enhance your meal and inspire your connoisseur in flavor almost immediately. For the real vaporizer professional, The Vapor Experts even offer products such as the Extreme Vaporizer that includes a remote control so that you can keep track of the temperature and heating of your masterpiece from across the room. For me, I'm still working on not burning things in the oven or having items on top of the stove turn into mush... but it sounds like a vaporizer is becoming more and more common and can be found in some of the most gourmet restaurants across the country. What an innovative tool! What about you? 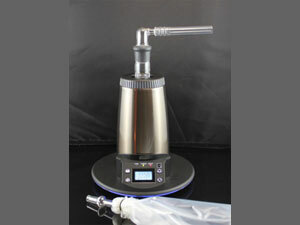 Have you heard of using a vaporizer for cooking or do you think you would ever try one? This is all new to me. Pretty interesting. I like all the great colors they come in. Now about the aroma of those brownies....MMM!! Thought I'd stop by from FMBT. Already following you! Have a great day! That's just about the weirdest thing I think I've heard about in months.